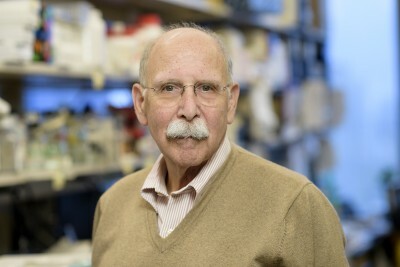 The Memorial Sloan Kettering community mourns the loss of Gavril Pasternak, who passed away on February 22. He dedicated his career as a physician and scientist to improving pain management for cancer patients and will be greatly missed. 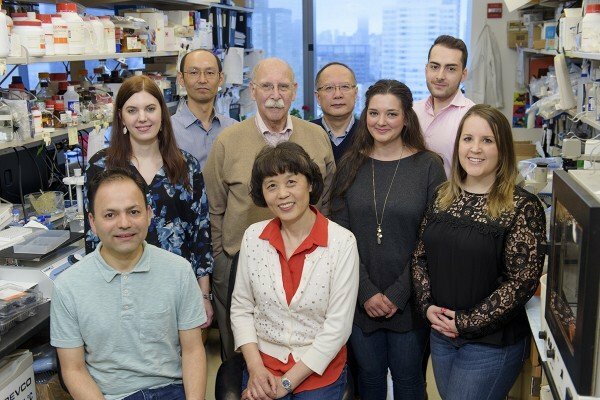 Although this laboratory has a wide range of interests, its primary focus is the molecular mechanisms of opioid action. Opioids have a rich pharmacology, which is easily studied in a wide variety of behavioral paradigms. The recent cloning of 4 genes encoding opioid receptors has led us to focus our attention upon correlating these various cloned receptors with pharmacological actions. Pharmacologist Gavril Pasternak studies molecular mechanisms of opioid receptor actions, analgesics, and G-protein-coupled receptors. Majumdar S, Subrath J, Le Rouzic V, Polikar L, Burgman M, Nagakura K, Ocampo J, Haselton N, Pasternak AR, Grinnell S, Pan YX, Pasternak GW.Synthesis and evaluation of aryl-naloxamide opiate analgesics targeting truncated exon 11-associated μ opioid receptor (MOR-1) splice variants. J Med Chem. 2012 Jul 26;55(14):6352-62. doi: 10.1021/jm300305c. Epub 2012 Jul 16. Majumdar S, Grinnell S, Le Rouzic V, Burgman M, Polikar L, Ansonoff M, Pintar J, Pan YX, Pasternak GW. Truncated G protein-coupled mu opioid receptor MOR-1 splice variants are targets for highly potent opioid analgesics lacking side effects. Proc Natl Acad Sci U S A. 2011 Dec 6;108(49):19778-83. doi: 10.1073/pnas.1115231108. Epub 2011 Nov 21.